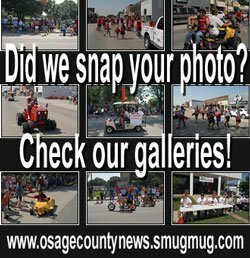 The following information was compiled from records at the Osage County Courthouse May 16 through May 20, 2016. 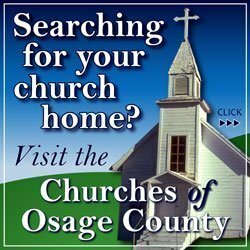 Lucas D. Robert Trust to City of Osage City. Tracts SE ¼ 25-16-14. Robert Rodak to Gerard E. Lowrance. Tract NE ¼ 13-17-14. David A. Hershberger and LuAnn K. Hershberger to Jethro L. Miller and Sherri D. Miller. Tract NW ¼ 4-18-16. Daniel G. Crumb and Lorrie Crumb to Jeffrey B. Clark. Tract SE ¼ 36-16-15. Brian W. Cole and Jeri Cole to Performance Project LLC. N 75’ Odd Lots 1-9, Block 14, Dodds’ and Boyd’s Addition, Osage City. Ronald R. Dismang and Jamie A. Dismang to Ty R. Frederickson and Marcie L. Frederickson. Lot 82, Sail-A-Way Estates North. HUD to Makstone Properties LLC. 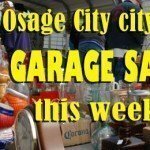 Even Lots 14-18, Block 17, Original Osage City. Monte L. Ramskill Estate to Carla L. Provost and Sandi I. Goldhamer. Lots 10 and 11 and W ½ Lot 9, Block 3, Burlingame.